Barnsley Hospital opened its new Neonatal Unit to a great fanfare and celebrations across the town. But fundraising for the unit via the Tiny Hearts Appeal is far from over. 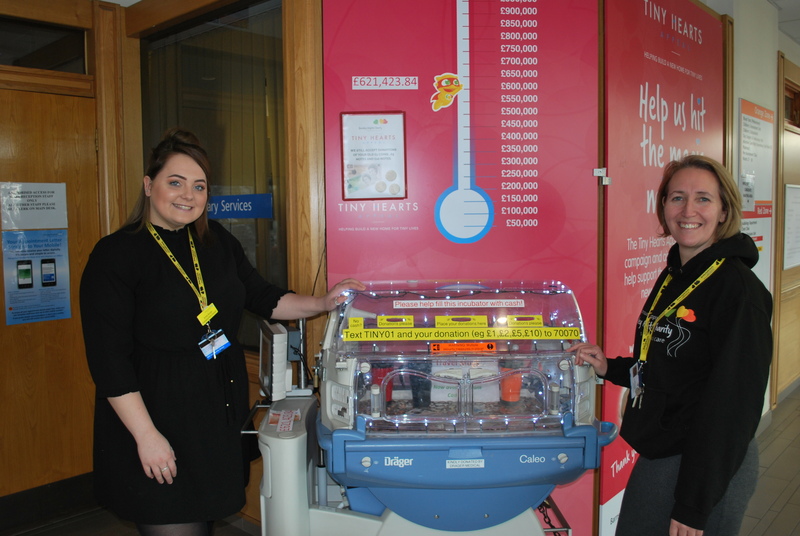 Barnsley Hospital Charity still needs your help to buy state of the art equipment for the unit, which provides care for premature and sick babies born at 27 weeks and above. Intensive Incubator – £32,000 each – These are the most high-tech incubators. They have cooling facilities to protect a baby’s brain after a traumatic birth, in some cases to prepare them to be transported to a specialist unit. Special Care Incubators – £28,000 each – An additional three incubators are required for those babies who need Special Care (rather than Intensive Care). Phototherapy Lights – £2,500 each – Phototherapy light systems are used for the treatment of neonatal jaundice. This new, higher specification model pauses and restarts when baby needs certain procedures. It also records phototherapy a baby has received enabling the team to see at a glance the effectiveness of treatment and plan the next stage. The selected model is designed to sit on top of the incubators and eliminates the need for stands, minimising barriers for parents to their baby. Five of these units are needed. Neo-puffs – £2,331.50 each – A ‘Neo-puff’ is a form of resuscitation equipment which would be used instead of a bag and mask system. The gold standard for the unit is to have one in each ITU bay (5), one in each Single Cot Nursery (3) and one in the Special Care room (1). Six extra units are needed to reach this standard. Cot Warmers – £1,820.26 each – To ensure smooth transition from incubator to cot it may be necessary to use cot warmers to maintain babies’ temperature. Height Adjustable Cots – £800 each – Height adjustable cots help improve the experience for babies’ families, helping taller or shorter parents to look after their baby whilst protecting their back. In addition this would also help the welfare of nursing staff. The unit would ideally like ten of these cots. Thermometers – £144.60 each – As the new unit is much bigger than the current unit coupled with the addition of family integrated care the gold standard for the unit would be to ensure one thermometer per cot space. This is small but vital piece of kit which would then be on hand for all babies on the unit. The unit would like ten new thermometers.